Let's hear it for three day weekends! I am so excited for an extra day before heading back to work next week. This weekend I have several new recipes I plan to try out and I also want to finally dive into my book club's first book. Speaking of books this coffee table book is a new favorite to my little mini collection. Above are a few more of my current favorites that I think would be perfect for the approaching fall including a great tote for running around town and a cozy sweater. Giveaway: Win an Autographed Makeup by One Direction. i LOVE long weekends!! we are going to tackle a lilikoi jelly recipe. 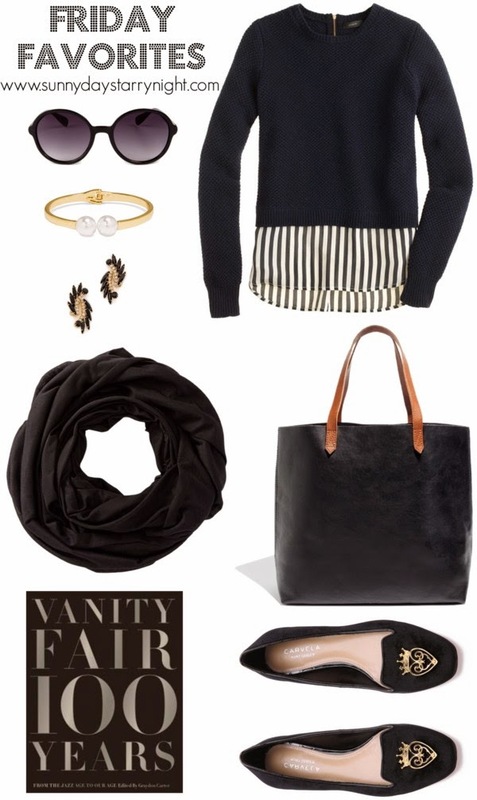 Love your picks, b/w is always so timeless and chic. Really fantastic picks! Love the black & white-so chic!